The transformation of neighbourhoods by rapidly rising condominiums is happening all over Toronto, but some areas are set for dramatic overhauls that will leave them as entirely different places. Such is the case with Yorkville. 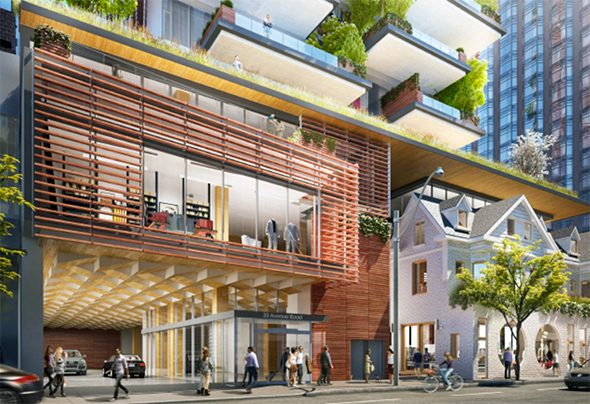 There are more than 10 massive condominium and mixed-use projects planned for the small area near Bloor and Bay that will completely revamp it over the next decade. Yonge and Bloor, which serves as one of the entrance points to the neighbourhood, already shows signs of the massive changes in the works. 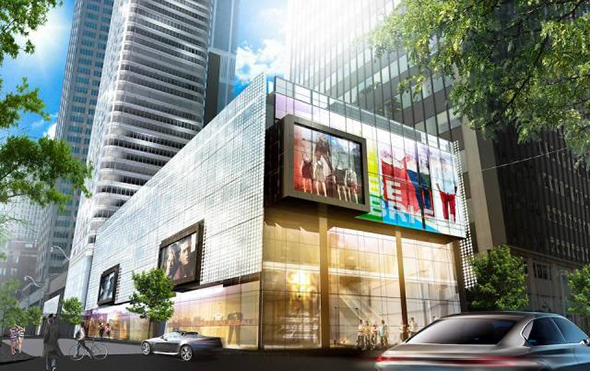 One Bloor has been a drawn out development, but now towers above the intersection as construction crews work toward completion of the 76-storey development, which will host a Nordstrom Rack at its base. Across the street, the Stollery's Building no longer exists as initial work progresses on The One, a skyscraper from Mizrahi Developments that was once pitched as the tallest building in the city, but has now dropped down to a modest 72 storeys. Immediately to the north, the aging Cumberland Terrace will eventually be reborn as part of major redevelopment plans for the incredibly valuable piece of land this 1970s-era mall sits upon. 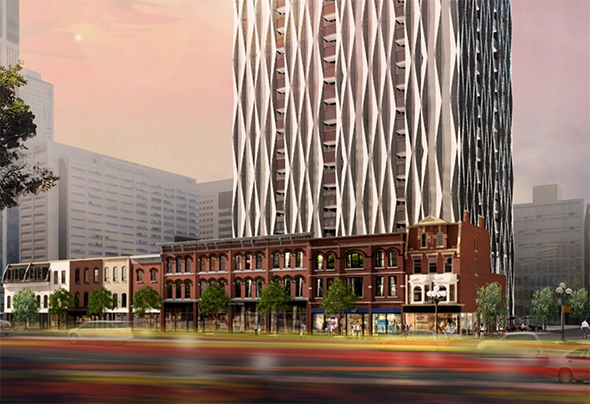 The plans have changed a number of times, but the last renderings show slick new retail with a 54-storey residential tower. 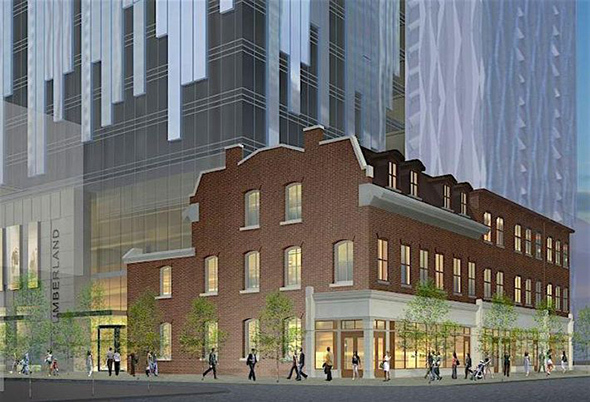 The heritage properties along Yonge St. between Cumberland and Yorkville are starting to come back to life after having been boarded up as part of restoration efforts related to the 1 Yorkville development, which will see a 58-storey condo erected behind them. 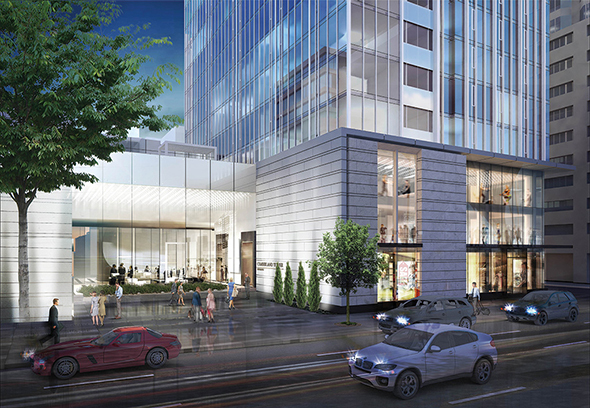 As it's set back from the street, the tower's impact on Yonge is diminished, though it will leave its mark on Yorkville. 8 Cumberland will join this development in restoring the heritage properties facing Yonge St., though the small buildings along Cumberland (including the small one that currently houses Thomas Hinds Tobacconist) will be lost as part of the project. The plan is to build to 64 storeys here. 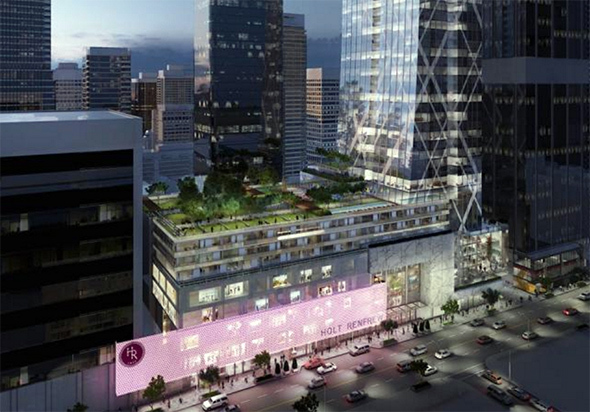 There are other mammoth developments in the works to the west of here, perhaps the most noteworthy of which is 50 Bloor West, a 70-storey tower to be built atop Holt Renfrew. 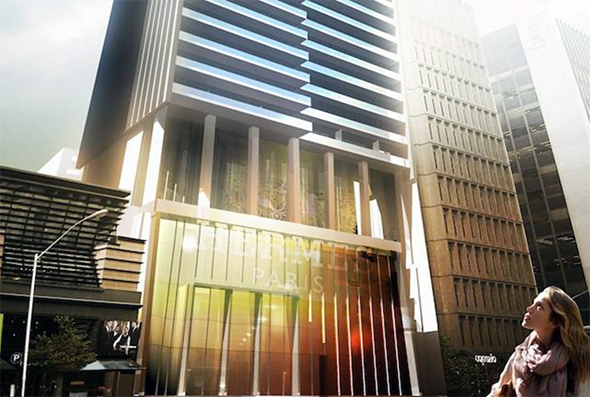 The development will see added retail to the current Holts along with the addition of 600 residential units. Of similar scale on the other side of Bay St. is 80 Bloor West, a 66-storey condo that would replace the mid-century building that currently houses Roots' flagship location at street level. The height and design of this project is sure to change, but the intention to demolish the existing building is part and parcel of the new development. Heading north on Avenue Rd., residents have already moved into the revitalized Four Seasons, a development know as Yorkville Plaza. The second phase of this project is scheduled for completion in 2017, and will add a 40-storey tower at Cumberland and Avenue Rd. Next up is 33 Avenue Rd., a 30-storey project from Zeidler Parternership Architects, which will wrap around a number of the historical properties facing Avenue Rd. at Yorkville. York Square, as the current site is referred to, was originally in danger, but modified plans would preserve at least some of its unique character. 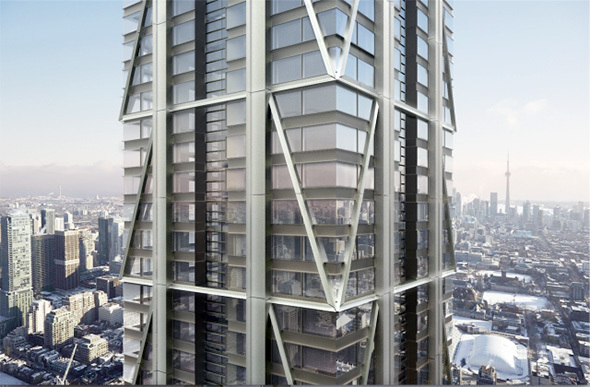 It's worth noting that 33 Avenue has considerable green elements on its balconies, which looks great on the renderings, but will be interesting to monitor in terms of real-world suitability. There's even more development on the periphery of the neighbourhood, which will also contribute to the challenges that the area will face in terms of the saturation of residential units on the way. Yorkville is as well served by transit as any place in Toronto, but the influx of new residents is sure to have profound impact.